India, Sultans of Delhi. 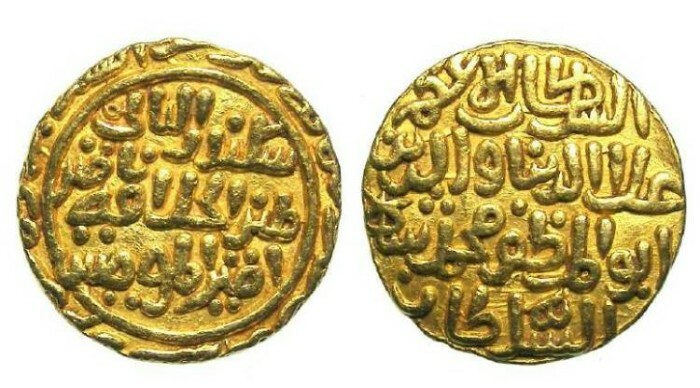 Ala Al Din Muhammed Shah II, AD 1296 to 1316. Gold Tankah. Sultans of Delhi, the Khaljis. Denomination : Gold Tankah. Date & Mint : incomplete AH 71x, Dar al Islam. Size : 24.5 x 25.0 mm. Weight : 10.95 grams. Reference : similar to Mitchiner 2565 but gold.